I bought this tea a long time ago from a tea shop which is, sadly, now shut. 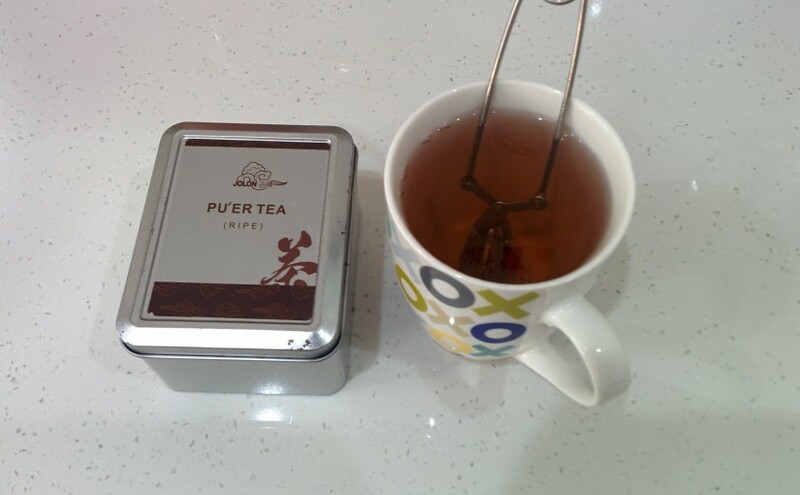 Jolon Pu’er Tea originates from the Yunnan province in China. the label on the box says that the longer the product is stored, the thicker the aroma arises – whatever that means. As I said I’ve had the tea for a long time – it was produced over 5 years ago. sure enough the flavour is very pleasant. There’s no bitterness, even if the tea is left to infuse for a very long time. This photo shows the fourth cup made from the same scoop of tea leaves. 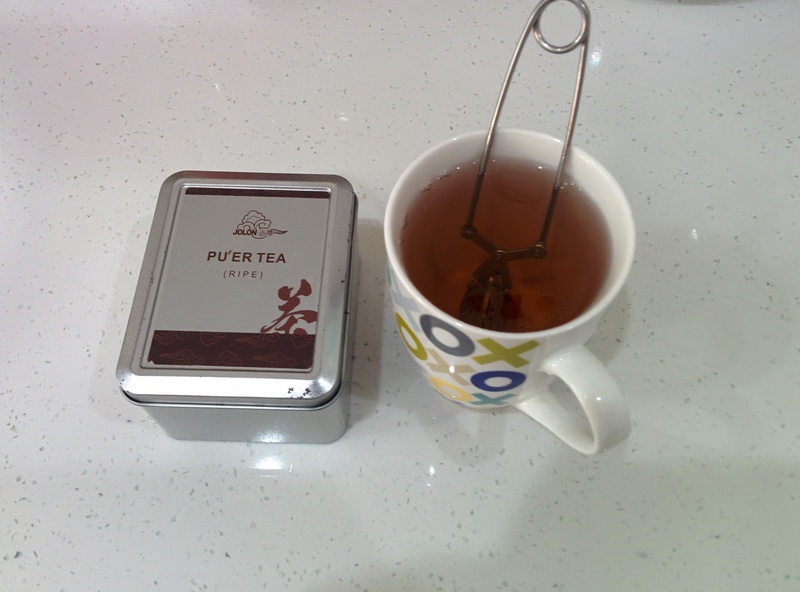 I can still taste the flavour of the tea, but something is missing, as compared with the first cup, which was delightful. My conclusion is that Jolon Pu’er tea is a fantastic tea, but you shouldn’t try to push it beyond the third refill.